Techies Sphere: Installing additional HDDs in exiting RAID5 storage pool of CISCO C240 Rack Server. Installing additional HDDs in exiting RAID5 storage pool of CISCO C240 Rack Server. 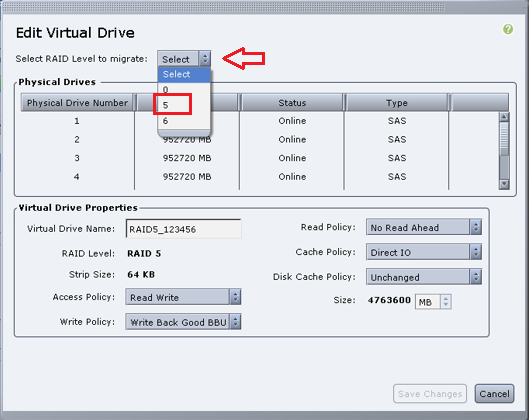 Or, How to extend exiting RAID5 storage pool in CISCO C240 Rack Server? Descriptions/Scenario: This is very generic requirement that, sometime we may need to extend the exiting server’s drive space due to space crunch. 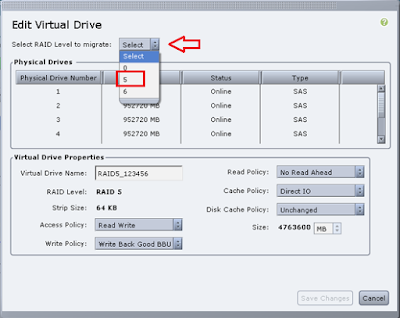 If it’s a virtual machine, your life is easy but if it’s a hardware machine, you need to go with lots of things (purchase new HDDs, extend existing RAID space, wait for successful reconstruction completion, expand the logical drive associated with the RAID group you are extending etc..). In my case, I have a CISCO C240 rack server where I have two RAID groups. 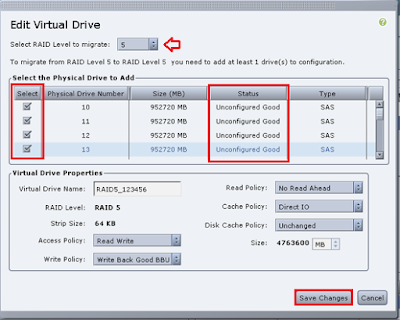 RAID1 for OS and RAID5 with one hot-spare drive for data. 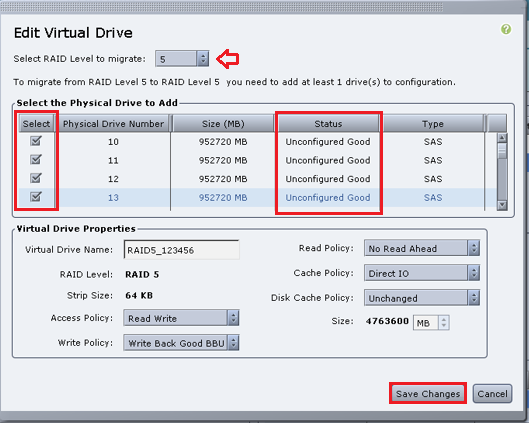 The RAID5 data drive in the OS is full and having no space. I have purchased some additional HDDs and inserted in empty slots of my CISCO Serer. Lets see in below steps what else to be done. Login to CISCO Server management console (CIMC) and verify if all the hardware components are functional well without any error. Wait for reconstruction task to be completed (it may take longer). Note: Please check if all the hardware components are working well. Here we got a Moderated Fault because of reconstruction job. Don’t worry, once the reconstruction will be completed, the fault will go away. If there are other components which are showing fault status, you must take action on that with the help of CISCO Support guys. Upon the successful completion of “Reconstruction” you can extend the disk from OS inside.